Sega would love to do it, but there are complications. 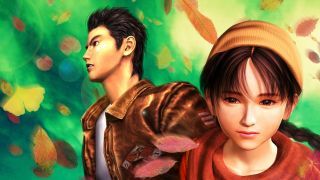 Shenmue 3 is in the works, but what about Shenmue 1 and 2—which is to say, HD remasters that will let people dig into them without having to own a Dreamcast? Sega Community Manager Dan Sheridan said in a recent Q&A video that the publisher is looking into it, but warned that the job is more complex than you might think. It would no doubt be a big job: As Engadget points out, the first two Shenmues had “a variety of promotional tie-ins and items” for both the North American and European releases of the game, and given their ages—Shenmue came out in 2000, Shenmue 2 a year later—they'd have no relevance (and likely no legal license) now. At the same time, there's clearly demand for more Shenmue. Last year's Shenmue 3 Kickstarter pulled in a record-setting $6.3 million dollars, while the follow-on “Slacker Backer” campaign picked up another $230,000. It's currently expected to be out sometime near the end of 2017.